Image: Rich Fury/Getty Images for Girlboss. The rumors around Goop founder Gwyneth Paltrow's upcoming nuptials to sweetheart Brad Falchuk are piling up — and some new ones have emerged that we need to talk about. We know that Paltrow will be tying the knot with Falchuk this fall at her Hamptons home, but that isn’t the important detail we're talking about. No, this new detail has to do with the number of guests that will reportedly be in attendance. According to Us Weekly, the ceremony will be “small and personal,” with just 15 to 20 guests. We can’t possibly imagine how Paltrow will cull her guest list, but we’re hoping that longtime friends of Paltrow's (and one of our favorite power couples) Beyoncé and Jay-Z will make the cut. Plus, she reportedly made a strategic decision early on in order to minimize wedding woes. 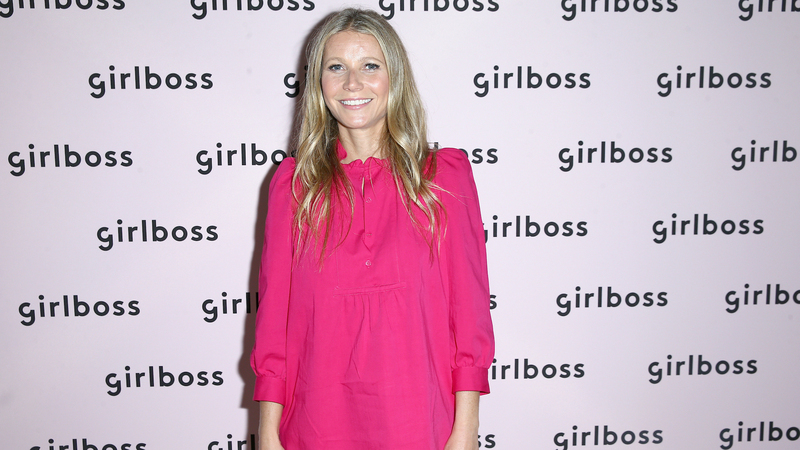 “Gwyneth is letting her wedding planner run with it. She knows that she gets her. She just wants to show up and know it will be perfect,” the insider told Us. Although no one in Paltrow’s camp has officially revealed a wedding date yet, the happy couple has kept the press on its toes since April — when throngs of high-profile celebrities (to the tune of over 400) were spotted exiting what was presumed to be Paltrow and Falchuk’s engagement party at downtown LA’s Los Angeles Theatre. Some outlets even speculated that the evening was a surprise wedding ceremony, as it followed Paltrow’s bachelorette party so closely. Aside from confirming her excitement to become Mrs. Brad Falchuk, Paltrow has remained pretty tight-lipped where details are concerned. During an interview with Entertainment Tonight in January, she did offer the slightest sneak peek into what her nuptials could entail. “I think I’m [too] old to have a big wedding and a big [old] white dress and all that. I gotta dial it back,” she said.